This is part of a series of occasional posts where I look at works from Le Monde’s 100 Books of the Century. The posts have been a bit too occasional, the challenge is taking me forever! I’m hoping this post will see me starting to build momentum again. Please see the separate page (link at the top) for the full list of books. 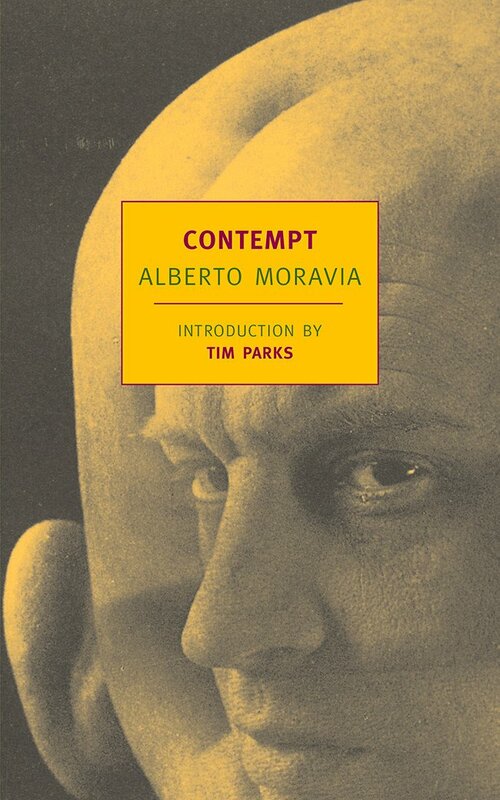 Contempt (Il disprezzo) by Alberto Moravia (1954 trans. Angus Davidson 1999) is a novel with a title that instructs the reader regarding the attitude to take to the narrator: Molteni is truly contemptible. He is married to the gorgeous Emilia and at first they are very happy together, despite their poverty, as Molteni tries to make a living as a writer and earn enough to keep them in their modest home. Gradually however, things start to unravel. They meet Battista, a crass, vulgar film producer. A seemingly innocuous event occurs but from this time Emilia starts to treat Molteni coolly. And so over the course of this short novel we see the disintegration of the marriage, the causes of which are entirely apparent to the reader but remain elusive to Molteni as he is so utterly self-absorbed. He’s a terrible snob: he looks down on his wife for being less educated than him and has dreams of being a great writer. He feels his scriptwriting is beneath him yet he doesn’t really excel at that either, trying to write a film version of The Odyssey for co-producers with very different ideas. He’s so busy being intellectual that life is passing him by and he has no idea how incredibly stupid he is. The irony when he claims “I would never have become a Communist if I had not bought the lease of that over-expensive flat” completely passes him by. It’s a short novel so I can’t say too much about plot, except things come to a head when the couple holiday with Battista in Capri, changing their lives irrevocably. Contempt shows how intellectualism and artistry carry a danger of relentless self-focus; coupled with Molteni’s material concerns, he loses all sight of people and human feelings, only realising where true meaning lies when it is too late. I couldn’t have spent too much longer with Molteni but as a short, sharp novel, Contempt works well and has plenty of food for thought. The Joke (1967; trans. Michael Henry Heim 1982*) is the first Milan Kundera I’ve read, as I found his massive intellectual-philosopher reputation intimidating to my tiny brain. However, I found this, his first novel, very readable so who knows, maybe I will tackle the cumbersomely-titled The Unbearable Lightness of Being at some point? Unfortunately, as we who live in the age of twitter know, irony is not always apparent in the written word and the authorities do not appreciate his sentiments. He is thrown out of the Party and sent to a labour camp with other political dissidents. The story is told from the viewpoint of Ludvik, his friend Jaroslav who is interested in Moravian culture, lecturer Kostka who is Christian in the face of Ludvik’s atheism, and journalist Helena who is used cruelly to facilitate a revenge act. Ludvik attempts to enact a revenge for his treatment, but it does not go as planned. He realises that the man who has become the focus of his anger is only a man, and that the issues are larger than a single person. Overall, the sense is of an almost Beckettian absurdity. There isn’t the surrealism of Beckett, but certainly the sense of futility and powerlessness of the individual in the face of an indifferent world. 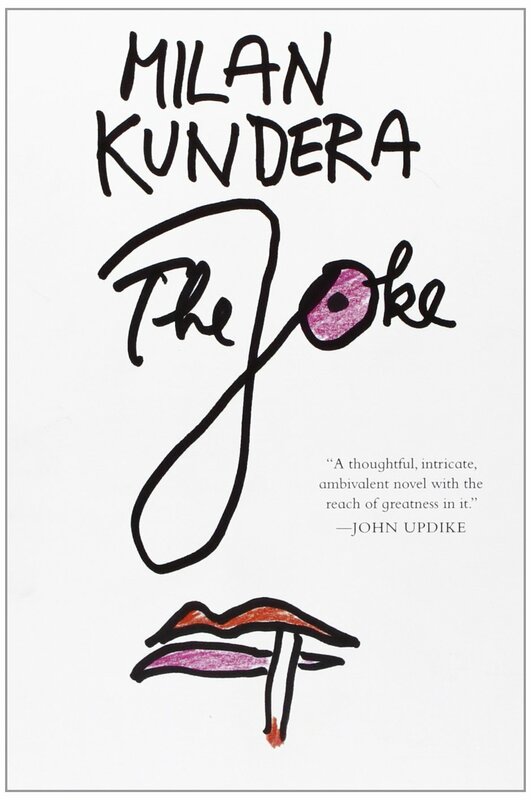 Kundera evokes this lightly, so The Joke is not a heavy read, although it considers huge themes. 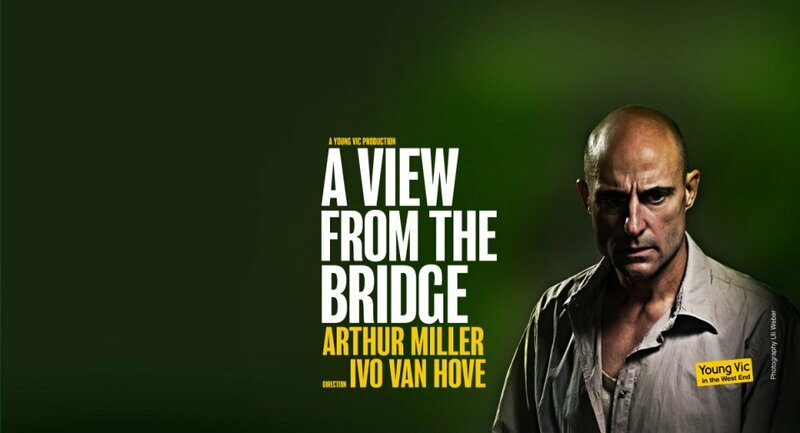 While the politics are particularly relevant to Europe in the last century, the story moves beyond the specific to challenge the role of the individual within structures in which we live, how much agency we have, and what responsibility that brings with it. Kundera has been exiled in France since 1975 after criticising the repressive nature of the then Czech government. The Joke is not self-righteous or overly polemical: it portrays, Kundera writes in the introduction, a man “condemned to triviality”. While this ironical awareness distanced me from Ludvik somewhat and stopped me totally loving this novel, it also prevents The Joke being pompous, and instead funny, sad, tragic and wise. As a companion piece to my post on Booker nominees, I thought I’d celebrate Richard Flanagan’s The Narrow Road to the Deep North winning the 2014 Man Booker by looking at two previous winners. Hence bi-winning – see, Charlie Sheen makes sense, he just needs the right context…. As both individuals and nations struggle with notions of identity, intricately bound together yet inherently unstable, Desai demonstrates how the big questions in life exist simultaneously in the everyday and across the sweep of history. Secondly, The Sense of an Ending by Julian Barnes (Jonathan Cape, 2011), which won the Man Booker in 2011. This is a very different novel to The Inheritance of Loss, taking a brief (150 pages) look at a deliberately small life, lived quietly. Memory and its unreliability is a dominant theme in the book – Barnes demonstrates that there is no such thing as a reliable narrator. The narrator in this instance is Tony, detailing two episodes in his largely uneventful life: the time around leaving school for university when his friend Adrian killed himself, and the present day where he has retired from work and a legacy left to him prompts a re-evaluation of the past. The Sense of an Ending is a melancholy book, as the title implies, but it feels real rather than outright depressing. Tony is not admirable, but he’s not especially despicable either. He is aware of his shortcomings and has achieved a resigned acceptance of them. But this is not to suggest the novel is uneventful – in a short space Barnes creates a narrative drive that carries you through to a powerful, unsettling ending. 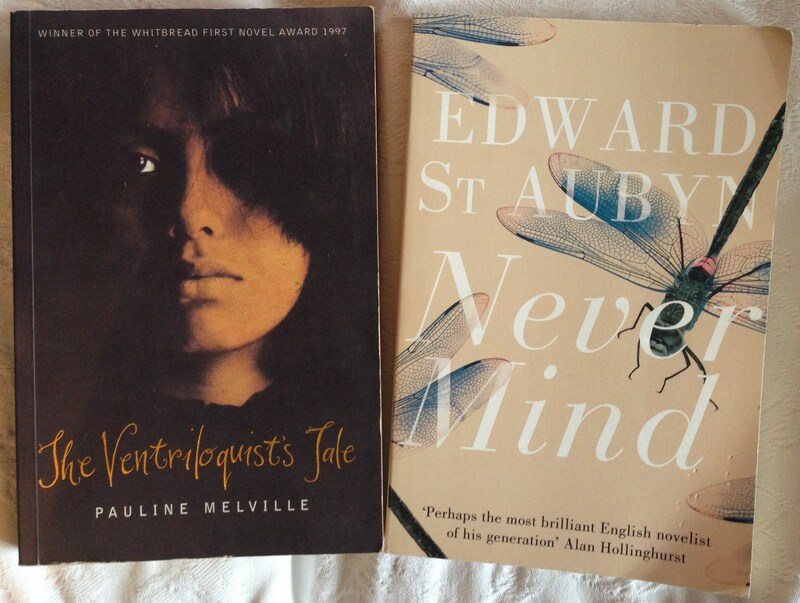 The great thing about this reading challenge, and the very reason I set myself to do it, is that it means I read books I wouldn’t have normally. Usually this is because I hadn’t heard of them, but in the case of The Murder of Roger Ackroyd, it was because I thought I didn’t like Agatha Christie. I spent a summer when I was about 14 reading a Poirot omnibus, and I thought it was poorly written, with thin plots, shallow characterisation and an annoying central protagonist (I believe Christie shared this opinion of Poirot!) 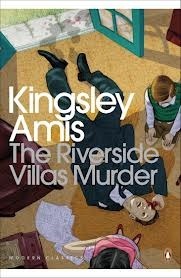 Despite a general love of the Golden Age of Detective Fiction, I haven’t picked up a Christie since. 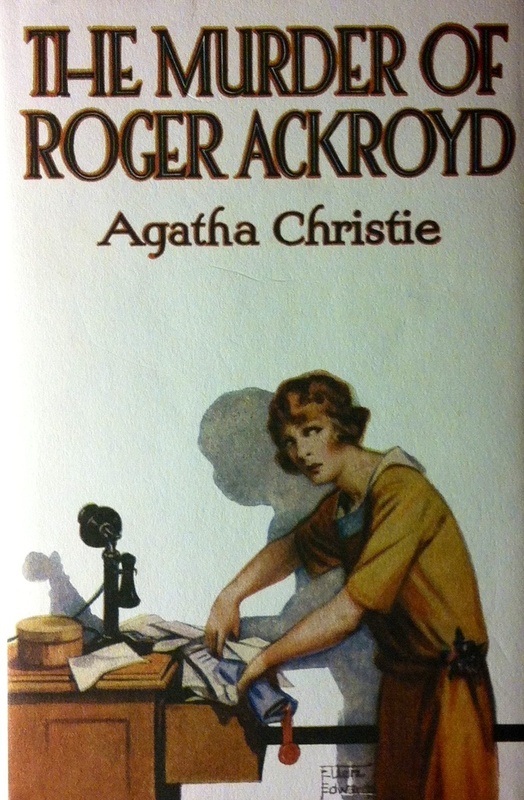 So I owe Le Monde (and the attractive bookseller who assured me it was the best of the Poirot novels – how I miss you, Blackwells) a great deal of thanks, because I really enjoyed The Murder of Roger Ackroyd. The story is narrated by Dr James Sheppard, the village GP who lives with his nosy sister, the character of whom was a prototype of Miss Marple. Amongst this levity however, there is a dark undertone – someone has been murdered, after all. And although Christie’s novels are not brutal and bloody (this was published in 1926) she does not let reader forget the inhumanity people are capable of displaying toward each other. 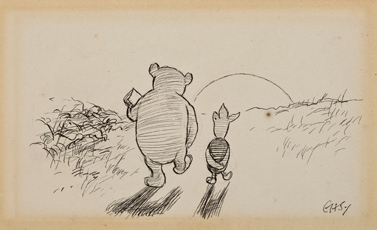 The ending of the novel was really quite dark, and I thought it all rather wonderful.